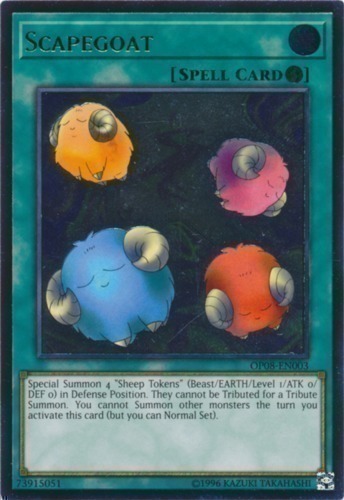 Text Special Summon 4 "Sheep Tokens" (Beast/EARTH/Level 1/ATK 0/DEF 0) in Defense Position. They cannot be Tributed for a Tribute Summon. You cannot Summon other monsters the turn you activate this card (but you can Normal Set).